Jason Todd origin, part 1 of 2. 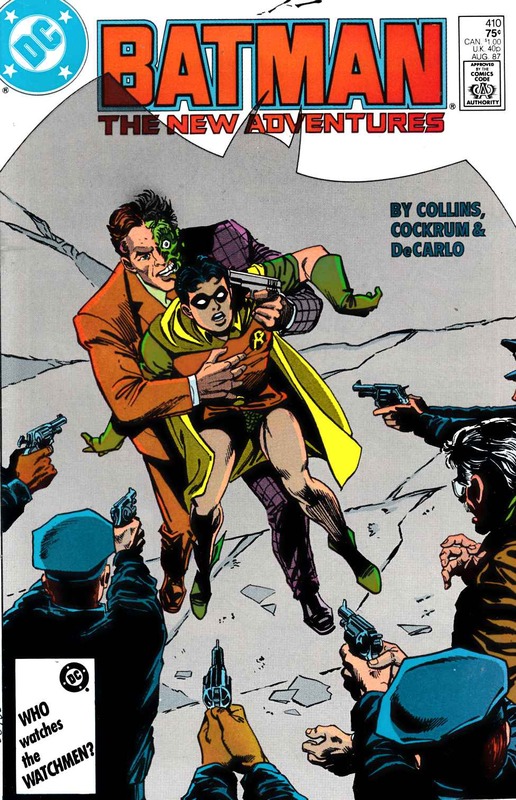 Batman tries to keep Two-Face's past hidden from Jason Todd, while Jason takes on the mantle of Robin in "Two Of A Kind". Part 1 of 2, continued next issue. Script by Max Allan Collins, pencils by Dave Cockrum, inks by Mike DeCarlo.